The Butterfly has been the premier location for sit down Chinese dining in West Hartford for nearly 30 years. From the Chinese standards like General Tso’s Chicken to authentic or more creative options like Spicy Dried Shrimp with the Heads; we craft each entrée from freshly delivered meats and vegetables every time you order. So whether you’re a vegetarian, need things gluten-free or just want to see how many chilis you can handle in your food let us know. Lunch, dinner, take-out, or private party see us 365 days a year for any occasion then move to the bar for an after-dinner drink, or check our schedule for karaoke or live entertainment. Hope to see you soon. 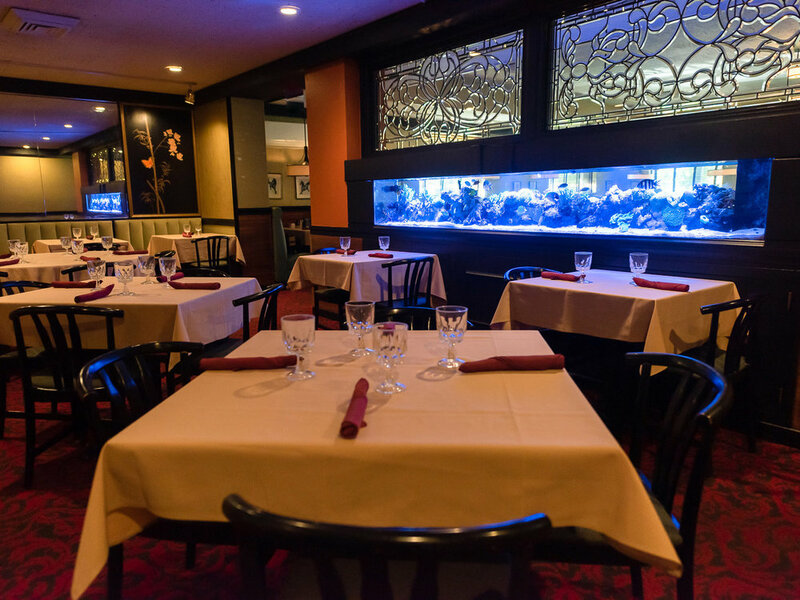 If you have a special occasion coming up, one of our banquet rooms are a perfect choice. We have 2 banquet rooms available — 1 holds up to 25 people and the other is a larger room that holds up to 45 people. Our staff is more than happy to work with you to create a custom menu for any occasion — showers, corporate parties, holiday parties, birthdays and more. Call us today and let us customize a menu for your upcoming event.